The case of Gendron v. Thompson Fuels, related to a home furnace oil tank that developed a leak in December 2008. The leak caused damage to the Gendron’s home and the surrounding environment, including nearby Sturgeon Lake. The City of Kawartha Lakes cleaned up the Lake. On July 17, 2017 the court released its decision on this matter, (2017 ONSC 4009) granting judgement in favour of Gendron against Thompson Fuels. The court appropriated 60% liability to Gendron and 40% to Thompson Fuels. The parties agreed that, based on the court’s findings, Gendron’s total damages were $2,161,570, and Thompson Fuels’ portion of those costs equalled $901,747 ($864,628 plus $37,119 interest). In that decision the court found that the two remaining defendants, the Technical Standards and Safety Authority (“TSSA”) and Les Reservoirs D’Acier De Granby Inc. (“Granby”) were not liable. The parties were unable to agree on costs and requested that submissions on costs be deferred until the decision on the post-trial motions was released. On March 29, 2018 the Court ordered Thompson Fuels to pay Gendron’s costs on a partial indemnity basis in the amount of $473,000.00 (2018 ONSC 2079). In arriving at this amount, the Court considered the Gendron’s contributory negligence, the costs of various post-trial motions brought by the parties, the reasonableness of Gendron’s bill of costs, and the fact that neither party had beat its offer to settle. The Court then awarded $150,000 in costs to TSSA as against Gendron and Thompson Fuels, who had cross-claimed against TSSA. The Court further ordered Gendron and Thompson Fuels to contribute $140,000 and $10,000, respectively. The Court also ordered Gendron and Thompson Fuels to pay equal shares of TSSA’s costs of $7,500.00 for the post-trial motions. In deciding to award only partial indemnity costs, the Court found that given TSSA’s limited involvement at trial, it did not require two lawyers to attend at trial. The Court also noted that even though Gendron’s action in negligence against TSSA had failed, the trial Court had found that the TSSA had not been “a model of efficiency or clarity” in its dealings with Gendron. This article was first published on the Siskinds Law Firm web site. Paula Lombardi is a partner of Siskinds LLP, and practices in the areas of environmental, municipal, regulatory and administrative law. Prior to joining Siskinds, Paula worked as an associate at a Bay Street law firm where her practice focused on occupational health and safety, environmental and regulatory matters. Paula recently spent two years as in-house counsel for a major privately owned US corporation, whose owner is on the Forbes 500 list, and was responsible for all Canadian legal and business issues relating to the import and export of goods, transportation of hazardous materials, remediation of contaminated sites, construction of large infrastructure projects, regulatory compliance, NAFTA matters, and preparation of environmental assessments in the US and Canada. Paula has a great deal of experience in: providing due diligence advice; dealing with contamination issues; handling of organic chemicals and hazardous wastes; obtaining environmental approvals; obtaining planning and development approvals; providing advice to municipalities; defending environmental prosecutions; and assisting companies with environmental and regulatory compliance. Paula has appeared before numerous administrative tribunals. On March 22, 2018 the Ontario Superior Court of Justice in MVL Leasing Ltd. v CCI Group Inc. 2018 ONSC 1800 granted Rule 21 motions striking third party claims brought by an environmental consultant who was being sued by a purchaser of property for professional negligence and breach of contract. The lawsuit alleged that the plaintiff was led into closing the sale by the consultant’s Phase 1 and Phase 2 Environmental Site Assessments. The property turned out to be contaminated. The consultant in turn alleged that the contamination was caused by one or more businesses operated by the third parties. The consultant requested contribution indemnity from the third parties on 6 different grounds: nuisance, loss or damage caused by a spill pursuant to s.99 of Ontario’s Environmental Protection Act, the occupier’s duty under the Occupiers’ Liability Act to ensure the safety of persons entering upon the property, negligence, liability under the Negligence Act and unjust enrichment. The consultant argued that if found liable in the main action, it would have incurred pecuniary losses as a direct result of the spill, those damages being the plaintiff’s remediation costs and or the decrease in the property’s value. The nuisance claim was rejected on the basis that the consultant did not own, occupy or possess the property, or any adjacent or nearby property impacted by the alleged contamination. The s.99 EPA claim was only available where the damages were directly caused by the spill and that was not the case. The occupier liability claim was rejected because the consultant suffered no damages as a result of entering the property in question. With respect to the negligence claim, the Court refused to impose a new duty of care upon the third parties. There was no proximity in the relationship between the consultant and the third parties. The potential economic harm to the consultant was not a reasonably foreseeable consequence of the alleged acts or omissions of the previous third party owners/occupiers. The Negligence Act claim was rejected on the basis that the consultant and the third parties did not meet the test under the Act of being concurrent tortfeasors for contribution and indemnity to be available. The plaintiff’s actual or potential causes of action against the consultant and the third parties were entirely different in nature. The damages allegedly caused by the third parties were different and discrete from those caused by the consultant. Finally, the unjust enrichment claim was rejected as the consultant had not pleaded any direct conferral of a benefit upon the third parties and the consultant had not suffered a corresponding detriment. If the consultant had incurred a detriment in the future by the plaintiff succeeding with its action, that detriment only related to the breach of contract and/or negligence of the consultant and the third parties were not parties to that relationship. What can we take away from this Decision? In order to sustain a third party claim against historic owners or occupiers of contaminated property, environmental consultants who are sued by a purchaser of contaminated property, will have to show that that the historic owners/occupiers were somehow responsible for or at least connected to the contractual breach or negligence which the purchaser alleges against the consultant. This article was previously published by Fogler, Rubinoff LLP and can be found on the firm’s website. Stanley Berger is certified by the Law Society of Upper Canada as a specialist in Environmental Law. He was called to the Ontario Bar in 1981. 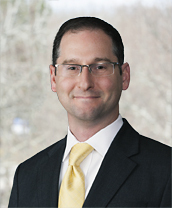 He joined the law firm of Fogler Rubinoff in 2013. Plaintiffs with property damage claims under the Massachusetts cleanup law have more time to bring their claim than might be expected under the three-year statute of limitations according to a recent ruling by the top Massachusetts court. The Supreme Judicial Court ruled that the statute of limitations begins running when the plaintiff knows that there is damage to the property that is “permanent” and who is responsible for the damage, pointing to the phases of investigation and remediation in Massachusetts’ regulatory scheme as signposts for when a plaintiff should have that knowledge. Grand Manor Condominium Assoc. v. City of Lowell, 478 Mass. 682 (2018). However, the Court left considerable uncertainty about when the statute of limitations might begin for arguably more temporary property damages such as lost rent. 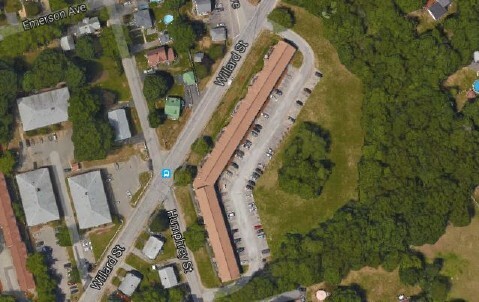 In this Google image, the Grand Manor condominium complex is visible at the center-right. In this case, the City of Lowell owned property that it used first as a quarry and then as a landfill in the 1940s and 50s before selling the property in the 1980s to a developer. The developer constructed a condominium project on the site and created a condominium association soon thereafter. As part of work to install a new drainage system in 2008, the contractor discovered discolored soil and debris in the ground. Subsequent sampling indicated that the soil was contaminated and that a release of hazardous materials had occurred. The condo association investigated in early 2009, and MassDEP issued notices of responsibility to both the condo association as well as the city in May 2009. The city assumed responsibility for the cleanup and worked the site through the state regulatory process known as the Massachusetts Contingency Plan (MCP). In the city’s MCP Phase II and III reports in June 2012, it concluded that the contamination was from the city’s landfill operations, that it would not be feasible to clean up the contamination, and proposed a pavement cap and a deed restriction. The condo association and many of its members filed suit in October 2012 for response costs under Chapter 21E, § 4 and damage to their property under G.L. c. 21E, § 5(a)(iii). At trial, the jury awarded the plaintiffs response costs under Section 4 but found that the plaintiffs had failed to prove that their property damage claim was brought within the three-year statute of limitations for such claims under G.L. c. 21E, § 11A. The Supreme Judicial Court took the case on direct appellate review. The Court quickly agreed that “the damage” referred to in Section 11A was, for these purposes, the property damages of Section 5 and moved on to the plaintiffs’ contention that the limitations period should not run until they discovered or reasonably should have discovered that the damage was “permanent” or, in other words, not reasonably curable. Until that time, they argued, they could not know if they had a property damage claim because the site could be fully remediated. In interpreting the statute of limitations, the Court crystalized the question as “whether the word ‘damage’ in § 11A(4) refers specifically to damage under § 5, that is, damage that cannot be cured and compensated by the cleanup and cleanup cost recovery processes defined by the MCP and §§ 4 and 4A, such that the limitations period does not begin to run until the plaintiff knows there is residual damage not subject to remediation and compensation.” In order to have knowledge that a plaintiff has suffered damage that is not curable by the MCP remediation process, the MCP process must have run sufficiently to know that § 5 damages exist – that there is contamination that will not be addressed through remediation leaving the property at a diminished value. Since the liable party is required to determine the extent of the damage in Phase II and evaluate available remedies in Phase III of the MCP, as the Court noted, “[i]t would make little sense to require the plaintiff to independently determine whether residual property damage exists prior to the completion of these reports.” As a result, the Court concluded that the statute of limitations did not start to run until the plaintiff became aware that the site would not be fully remediated in the Phase II and III reports in June 2012 months before they filed their lawsuit. Exactly what constitutes full remediation remains to explored in further cases, as the range of outcomes from achieving background conditions, implementing deed restrictions, reaching temporary solutions, or even leaving just a few molecules of contamination left behind could impact this analysis. The Court contended that this interpretation of the statute of limitations provides a “prescribed and predictable period of time” within which claims would be time barred, given that there are timetables associated with the production and submission of MCP Phase II and III reports. Under normal circumstances, the Court expected that a plaintiff will know it has a claim within five years of notifying MassDEP of contamination. Despite the Court’s pronouncement that it had provided predictability for these types of claims, the statute of limitations for non-permanent property damages, such as lost rental value, or for sites where there is a long-term temporary solution in place, remain uncertain. Lawyers and clients evaluating how and when to bring claims for temporary and permanent damages will need to carefully evaluate a range of potential options in pursuing a preferred single case for property damage without unacceptable risk that an uncertain statute of limitation may have run. The article was first published at the Beveridge & Diamond website. Beveridge & Diamond’s Massachusetts office assists parties at all phases of contaminated sites, guiding clients through the MCP investigation and remediation process and prosecuting and defending claims in court for cost recovery and property damage. For more information about this practice, contact Marc Goldstein or Jeanine Grachuk. Marc Goldstein helps clients resolve environmental and land use disputes and to develop residential, commercial, and industrial projects. He serves as the Managing Principal of Beveridge & Diamond’s Wellesley, Massachusetts office and the Chair of the firm’s Technology Committee. Marc provides practical, cost-effective advice to clients with environmental contamination issues, whether those clients are cleaning up hazardous materials and seeking contribution from previous owners or adjacent landowners or facing claims under Chapter 21E or Comprehensive Environmental Response, Compensation, and Liability Act (CERCLA) for their alleged role in contamination. In the most recent decision in the ongoing Kawartha Lakes saga, the Superior Court of Justice found homeowner Mr. Wayne Gendron partly responsible for an oil spill that destroyed his lakeside property. The Court also found Mr. Gendron’s fuel distributor liable for a portion of the costs. This decision serves to warn homeowners that a distributor’s delivery of fuel does not mean that their tanks are safe. It also cautions fuel distributors that they may be liable for spills brought about by a homeowner’s negligence. Thompson Fuels (“Thompson”) supplied 700 liters of fuel oil to two tanks in Mr. Gendron’s basement. Mr. Gendron had installed the fuel tanks himself without proper shut off valves, contrary to industry standards. During a period of financial difficulty, Mr. Gendron filled these fuel tanks with less expensive stove oil. The stove oil introduced water and microbes into the tanks, causing the tanks to corrode. When Thomspon delivered the fuel oil one of the tanks leaked, spilling approximately 600 liters. In the hours following the fuel delivery Mr. Gendron tried to manage the spill on his own by collecting what he believed to be all of the leaking oil in Tupperware containers. Approximately 24 hours later, Mr. Gendron called Thompson to complain that it had not delivered his entire shipment of fuel oil – he was short about 600 liters. Mr. Gendron never called to report the spill to the MOECC’s Spills Action Centre hotline. The fuel oil migrated under Mr. Gendron’s house, through the City of Kawartha Lake’s drainage system, and into nearby Sturgeon Lake. The Ontario Ministry of the Environment and Climate Change (MOECC) ordered Mr. Gendron and his wife to “ameliorate the adverse effects caused by the discharge of the furnace oil” and “restore the natural environment… to the extent practicable.” Mr. Gendron began remediation of the contamination of his property and the contamination of Sturgeon Lake. Early remediation efforts were complicated by the frozen lake and soil. Mr. Gendron’s personal insurance was rapidly exhausted. 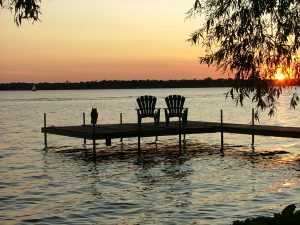 His insurer eventually refused to fund further off-site remediation of Sturgeon Lake. The remediation efforts cost nearly $2 million and required the demolition of Mr. Gendron’s home. Using its powers under the Ontario Environmental Protection Act (“EPA”), s. 100.1 the City ordered compensation for its remediation costs from Mr. Gendron, Thompson and the Technical Standards and Safety Authority (“TSSA”). Mr. Gendron, Thompson and the TSSA appealed the order to the Environmental Review Tribunal. Thompson and the TSSA settled with the City and withdrew their appeals. Mr. Gendron’s appeal was unsuccessful and he was required to pay more than $300,000 of the City’s costs. Mr. Gendron then brought a claim for contribution and indemnity against Thompson under EPA, s. 100.1(6). In this most recent case, the Court found that Mr. Gendron could not make out his EPA claim because ownership and control of the fuel oil had transferred to him when the fuel oil was delivered to him by Thompson. Mr. Gendron’s claim for contribution under the EPA was dismissed. Donna Shier, Partner & Certified Environmental Law Specialist. With almost 40 distinguished years of experience practicing environmental law, Donna Shier is one of Canada’s leading environmental counsel to major industrial corporations. Donna is also frequently called upon by corporate, commercial and real estate lawyers to assist their clients with environmental legal issues, and provides environmental law expertise to external litigation counsel. Donna is a qualified mediator and is an accredited member of the ADR Institute of Canada. Donna is called to the bar of Ontario. Joanna Vince, Senior Associate. Joanna Vince has significant expertise representing a wide range of clients with environmental issues, civil claims and prosecutions, orders and appeals. Joanna was admitted to the bar of Ontario in 2011. Joanna has a B.Sc. (Hons., High Distinction) in biology and environmental science, and a Certificate in Environmental Studies. Joanna’s knowledge of and commitment to environmental issues was recognized by the University of Toronto, which awarded her the Arthur and Sonia Labatt Fellowship and the Douglas Pimlott Scholarship. Also at the University of Toronto, Joanna assisted with preparing academic papers and books as a research assistant on wind power, carbon taxes and climate change. Raeya Jackiw, Student-at-Law. Prior to articling at Willms & Shier, Raeya was a summer student at the firm and conducted legal research on issues in environmental, aboriginal, energy, constitutional, administrative, contract, tort, and civil procedure law. She has a Juris Doctor, Certificate in Environmental Law from the University of Toronto, a Masters Degree in Environmental Science from the University of Guelph, and a Bachelor’s Degree in Environmental Science from Queen’s University. This article was originally published on the Wilms & Shier website. Max Spatig was convicted of knowingly storing and disposing of hazardous waste without a permit and sentenced by the U.S. District Court for the District of Idaho to 46 months in prison under 42 U.S.C. § 6928(d)(2)(A). See U.S. v Spatig (2017) 2017 WL 4018398. At trial, Spatig had sought to introduce evidence on his diminished capacity arguing that he did not have the required state of mind for the offense. The district court, however, granted the government’s motion in limine to exclude all such evidence because § 6928(d)(2)(A) under the Resource Conservation and Recovery Act (RCRA) only required general intent and diminished capacity was not a defense to a general intent crime. For years, Spatig had operated a business which used paint and paint-related materials. Over time Spatig had accumulated several used containers of this material, some of which ended up on his residential property in Idaho. 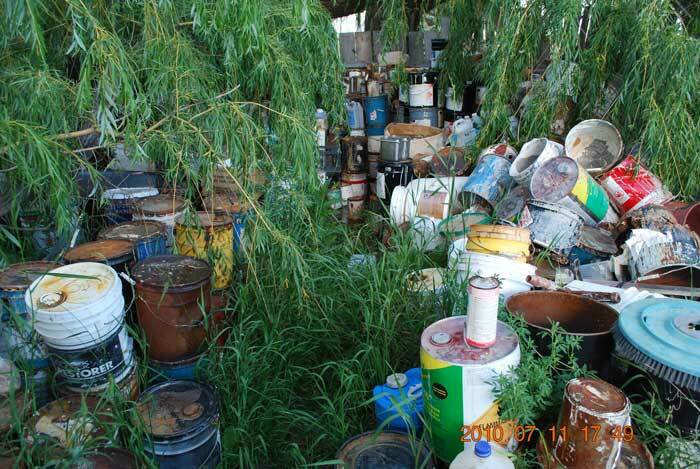 In 2005, the county discovered the several containers and reported it to the Idaho Department of Environmental Quality (DEQ). Working with Spatig, DEQ collected and destroyed most of the containers. In 2010, Spatig was again found to be storing used containers of paint and paint related materials on another of his properties. This time the job was too big for local or state authorities so the U.S. Environmental Protection Agency (EPA) was notified. The U.S. EPA determined that the waste was hazardous and that a cleanup was necessary. The U.S. EPA removed approximately 3400 containers and spent $498,562 on the cleanup. The EPA charged Spatig with violation of § 6928(d)(2)(A) for knowingly storing and disposing of a hazardous waste without a permit from either DEQ or the U.S. EPA. Spatig appealed his trial conviction and argued on appeal that § 6928(d)(2)(A) required specific intent. He also took issue with the district court’s enhancement of his base sentence arguing that the cleanup did not result in a “substantial expenditure.” The Ninth Circuit Court of Appeals, however, disagreed with Spatig and affirmed the district court. Under § 6928(d)(2)(A), a person may not “knowingly” treat, store or dispose of a hazardous waste without a permit. According to the U.S. Supreme Court, “‘knowingly’ merely requires proof of knowledge of the facts that constitute the offense.” The Ninth Circuit had also held that “knowingly” generally does not require specific intent. In other words, a defendant’s particular purpose or objective is not required. The Ninth Circuit previously rejected the argument that § 6928(d)(2)(A) required that a defendant know there was no permit for disposal. The court held there that “knowingly” only required “that a defendant be aware that he is treating, storing, or disposing of something that he knows is hazardous.” The court found that RCRA was a public-welfare statute and that “§6928(d)(2)(A) fits within a class of general-intent crimes that protect public health, safety, and welfare.” Because § 6928(d)(2)(A) only requires general intent, the Ninth Circuit upheld the district court’s exclusion of evidence at trial of Spatig’s state of mind. Spatig argued that his sentence enhancement was error because the cleanup did not constitute a “substantial expenditure” required under the federal sentencing guidelines (U.S.S.G. § 2Q1.2(b)(3)). The Ninth Circuit refused to establish a bright-line rule but noted that sister circuits had found that expenditures under $200,000 were “substantial.” In upholding the district court, the Ninth Circuit noted that in the instant case the $498,562 underestimated the total cost because it did not include the local agencies’ expenditures. This holding underscores the long-standing general purpose of environmental laws to protect the public welfare. These statutes do not generally require specific intent—only knowing of the act is required. This article was first published on the Clark Hill website. Richard E. Stultz brings over eighteen years of experience in the environmental, land development and petroleum industries to bear in his practice of law. In addition to his law degree, he also earned a Bachelor of Science in Petroleum Engineering. Richard’s practice is currently focused on environmental litigation. Richard is experienced in law and motion filings and hearings. He is practiced in written discovery and legal research. Richard has even co-written a First Amendment argument submitted before the California Court of Appeal. He is familiar with California’s environmental laws and regulations. While in law school, Richard interned at the Los Angeles City Attorney’s Office in the Real Property/Environment division. He researched and prepared a key memorandum regarding good will compensation in eminent domain.